Several bills regarding pro-life issues were proposed, but died in the Pu blic Health Committee without even garnering a public hearing. This was primarily due to the increased number of Republicans on the Committee. 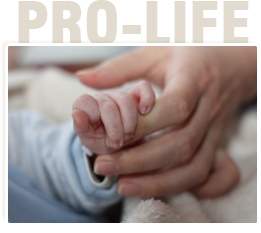 These bills would have been certain to create a lot of contention from both the pro-life and pro-choice communities. Some of the proposed legislation that died in Committee included: l egalizing physician-assisted suicide, the regulation of pro-life pregnancy resource centers, the creation of a parental notification law for minors seeking an abortion, affirming the right of a woman to choose an abortion, and requiring an ultrasound prior to an abortion. Several women&apos;s groups, including Planned Parenthood and NARAL, saw their primary piece of legislation pass in the Senate, but fail to be called for a vote in the House. The bill would have taken the mandatory coverages for women&apos;s reproductive healthcare required under Obamacare, including free contraception on demand, and make them part of state law in case the federal law was changed. The legislation was not called for a vote in the House out of fear that an amendment relating to parental notification of a minor&apos;s abortion would be called and debated. All the groups supporting this legislation are opposed to parental notification. The advocates of this legislation are now pushing for it to be added to the list of items to be addressed during the upcoming special session, which is to be called primarily to adopt a state budget.